Chairman of the Hanoi People’s Committee Nguyen Duc Chung has expressed concerns that Hanoi could face power shortages in 2020 if construction lags on several power plant projects. Chung made the statement at a review meeting of the Ministry of Industry and Trade on Thursday. At the event, Chung urged the ministry to pay attention to speed up Hanoi’s power projects. 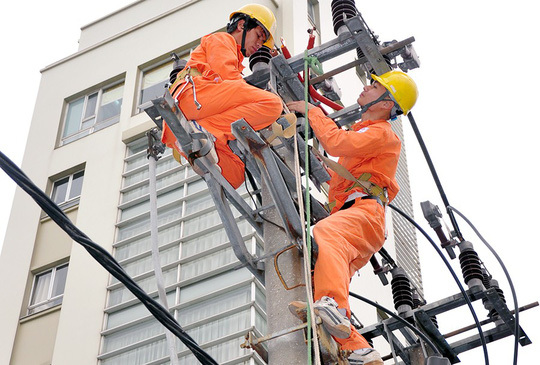 Some power projects in Hanoi have seen sluggish implementation, which would result in the power shortage for the city in the 2020-2021 period. The chairman also proposed the Ministry of Industry and Trade to buy power produced from waste at higher prices from other sources to encourage the use of waste for power generation. Minister of Industry and Trade Tran Tuan Anh said that the ministry would consider the proposals. Tran Viet Anh, head of Strategic Division under the Electricity of Vietnam (EVN) told a recent workshop that Vietnam would see power shortage from 2020 to 2025. To meet surging demand, the country needed 60,000MW of electricity by 2020; 96,500MW of electricity by 2025 and 129,500MW of electricity by 2030. This means total installed capacity would have to increase by 6,000-7,000MW of electricity per year.